Performance coaching for endurance sports including cycling, running and triathlon. Strength and conditioning with Olympic Style Weightlifting through one on one instruction. All levels are welcome. Implementing strength appropriately along with endurance sports is the key to improvement and injury free training. Experienced Ultra distance coach with both running and riding events including Badwater, Race Across America, RAW, and RAO. I started racing bikes in 1980, and did my first triathlon in 1981. I discovered Mountain Biking and Cyclo-Cross when I moved to the west coast, and did 4 years of the Norba Series races in the mid-1990's. That took me right into Xterra's and was followed by doing marathons and trail running. I still compete in running events and some mountain bike events, but my focus is on helping others achieve their goals first. I'm a Level 1 USAC Coach, Certified with NSCA, IYCA and USA Weightlifting as well. Coaching should provide motivation as well as inspiration. 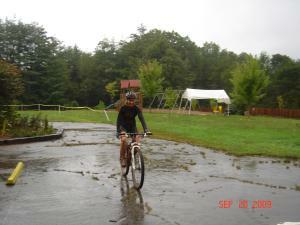 I've worked with recreation riders to National level mountain bikers, road racers, and ultra cylists. I've crewed and coached riders and runners in Raam, Raw, Rao, and the Badwater ultra marathon. Success. Coach Kellie Moylan has been notified of your message.